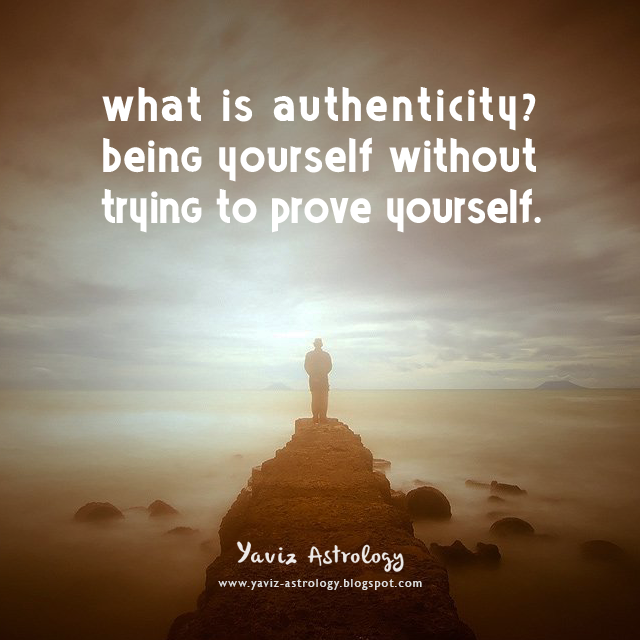 what is authenticity? being yourself without trying to prove yourself. why do so many fear of being accused of inauthenticity? because it is painful to be misunderstood — and it feels good to be understood. what is the proof of authenticity? consistency. in life, we may change our thoughts, our feelings, and our actions, but who we truly are deep down in the core will never change. that is the beauty of being human. our story, our lessons, our identity become our unique strength. it is time to recognize them. don't give up! 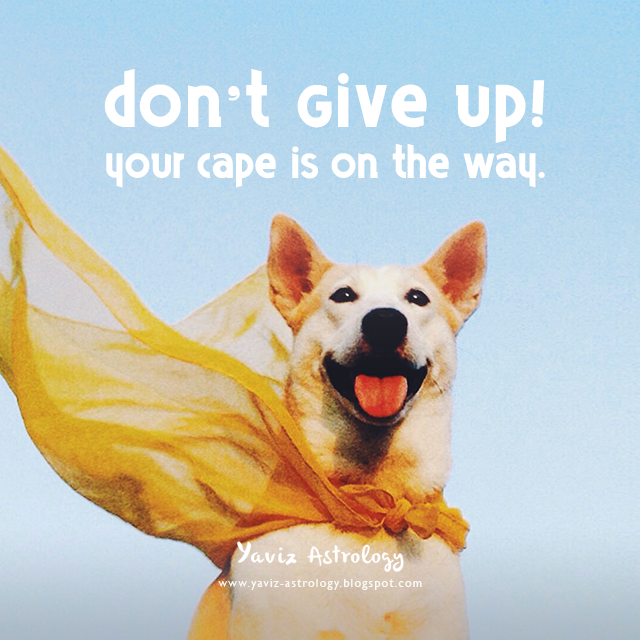 your cape is on the way. after all that we've been through, can we find a new solution to an old problem? a new way to heal an old wound? a new sense of hope to hold? there is power in letting go. and there is beauty in moving forward. be ready. the full moon is filled with promise. a promise to ourself. to go bigger. to be bolder — and be eager in creating space for a better pathway ahead. a path that is filled with new trust in our wisdom and strength. reach out for all that is good to our heart. that which we can enjoy doing and things that can inspire us more. ideas to solutions will come in faster. send out good message in vibes. see those goals clearly within reach. you are indeed on the way. happy full moon! remember to take your vitamin daily for optimum results! 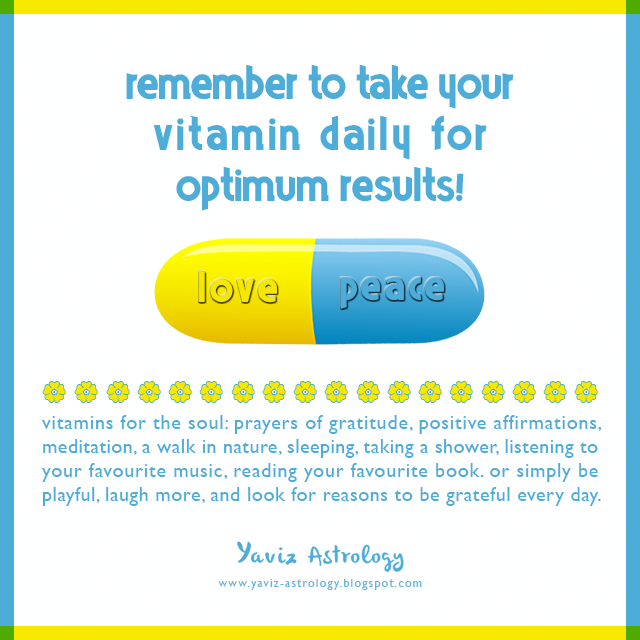 vitamins for the soul: prayers of gratitude, positive affirmations, meditation, a walk in nature, sleeping, taking a shower, listening to your favourite music, reading your favourite book. or simply be playful, laugh more, and look for reasons to be grateful every day. there has been so much pain in the world. so much fear. and so much sadness. what can we do to make the world a better place? firstly, we need to recognize the simple things many often take for granted every day. from the clean air we breathe, to the water we drink. to be able to wake up in the morning, and go about our day in peace. yes, there may be distractions on the way. there may be worries and tensions. but there is also the chance to feel differently about a situation. to think differently about the past. to stand tall. and to be inspired by the bigger vision of our life. where do we go from here? let our intuition do the work so that we will know which string to pull. with peaceful thinking, we could make a great start. just think of what we can do with all the energy we have within us. the same energy that permeates all consciousness. start turning dreams into positive goals. make our world a more peaceful place by being an agent of peace. from there, trust abounds. and a chance to make the world a better place.